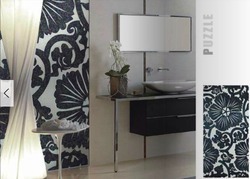 Available in varied shapes and sizes, we offer black and white Ceramic Mural Tiles to our valuable clients. Offered in various thickness and configurations, these are appreciated for elegant and for giving superb interior to your house. Furthermore, these are available at market leading prices. 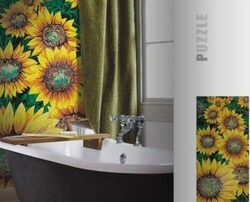 We offer a varied range high quality bathroom mosaic tiles to our valuable clients. These are made using high quality raw material which is sourced from trusted vendors. Our tiles are highly acclaimed for light weight, fire proof, resistance to chemicals and surface abrasion, finishing standards and faultless designs. These products are manufactured as per the required parameters with compliance to various industrial applications. We are a leading manufacturers and suppliers of Border Tiles to our valuable and esteemed clients. Our range of is well known for unique designs, styles, patterns and color combinations. Offered in varied forms and sizes, we also provide customized solutions to our reliable clients at competitive rates. We ensure reasonable pricing and timely delivery of the consignment. We offer vast variety of Gradation Tiles to our valuable clients. Made using high quality raw material, these are sourced from trusted vendors. Highly demanded across the globe, these are found in varied patterns, dimensions and designs. We also offer customization services to our clients at competitive prices. To furnish the diverse requirements of our clients in the best possible manner we are involved in offering an extensive range of Glass Mosaic Mural. 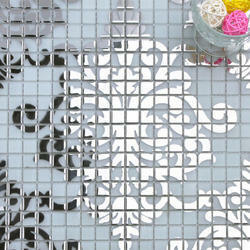 J stiles is one of the predominant Manufacturers and Importer of breath taking Glass Mosaic products. We are specialized in the Blended Tiles, Mural Tiles, Patterned Tiles, Tile Borders, etc. Our exotic gamut of glass mosaics attract the viewer and leave an everlasting impact at a single glance. Our exclusive array of glass mosaics is available in vibrant colors and unmatched textures, which creates stunning visual effects. Our superlative quality products inspire the designers to explore their imaginations and ideas. Our glass mosaic products allow the designer and architecture to convert their dreams into reality. They utilize all available resources with precision to accelerate the production capacity in cost effective manner. Consequently, we have positioned ourselves as one of the overriding Gradation Tiles Manufacturers in India. Not get affecting by harmful acids, chemicals, etc. We cater an exclusive range of cad Mural Tiles or Sunflower Glass Mosaic Murals, which is demanded by all, due to alluring patterns and designs. Our Glass Cad Murals are the topmost choice of the designers due to their authenticity and longevity. 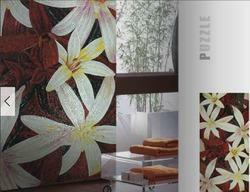 Our Mural Tiles are, beautifully designed by the team of experts, using high quality raw material. The enchanting color combinations and superb designs of our Mural Tiles are hugely praised by global clients. Still as popular as when we began making tiles or glass murals, the hand painted tile mural is the classic choice for a stunning focal point set within your kitchen or bathroom wall tiles. Over the years, we have been asked to paint numerous subjects - some more unusual than others. We make all our own coloured glazes from scatch to our own special recipes that we have developed over the last 24 years. Ceramic pigments are mixed and ground together with a special turpentine which "sticks" the glaze onto the tile. During firing, this binder burns off leaving the glaze to melt and combine with the tile's glaze. Still as popular as when we began making tiles, the hand painted tile mural is the classic choice for a stunning focal point set within your kitchen or bathroom wall tiles. Over the years, we have been asked to paint numerous subjects - some more unusual than others - and all have been created with painstaking care and lots of enthusiasm. We make all our own coloured glazes from scatch to our own special recipes that we have developed over the last 10 years. 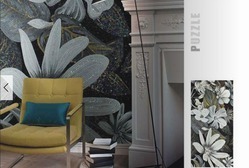 A glass tile mosaic and mural brings colour and whimsy into any room and is very eye catching. 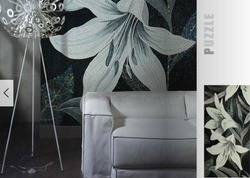 These mosaics and murals can be casual or elegant and a simple way to give your room that “wow” factor you’re after. Glass wall mural mosaics can be small or large and cover only a portion of wall. The design may be abstract or glass tiles may be used to create picture of your choice - be it a photograph, natural scenery or any imagination that you want to mount on the wall. Our mosaics and murals have been widely specified for commercial and residential swimming pools, artistic murals, hotels, interior and exterior applications. The use of mosaic is as an ancient techniques and the handcrafted mosaic decoration are made using both Byzantine glass and marble. 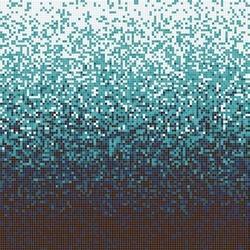 With CAD, graphic designs are translated into images and their interpretation into colourful mosaics. Our range of mosaic tiles is becoming increasing popular. We offer an extensive range of mosaic tiles that will add elegance and style to your interior. Mosaic tiles look particularly good in bathrooms and kitchens. They are quite matchless in their appeal, be it a traditional or classic, and look simply stunning. You can make use of the highest quality glass mosaic in different dimensions in the most modern and contemporary tones and finishes. 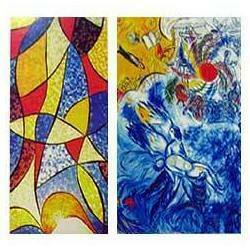 Fused glass and stained glass mosaic glass murals and panels are our specialty. Are you looking for something very Custom and Unique? “Glass as an Art Form” is our motto. Let us design and create a fused or mosaic glass tile mural or art panel for your home, office, restaurant, etc. 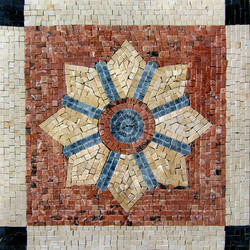 View the many examples of our mosaic and fused glass tile murals in this Murals and Panels section. In many of these very custom glass projects you will see the influence of Saundra’s watercolor expertise as these glass art works are truly created to look like paintings and yet they are 100% glass. Our glass tile murals and panels have been featured in many home décor magazines (Southern Living, Better Homes and Gardens) and popular television shows such as Extreme Makeover Home Edition, HGTV’s Great Rooms and Larry’s Look. We are the leading Importer and supplier of Glass Mosaic Murals which used in varied residential and commercial applications, we offer wide variety of Murals Tiles to our esteemed clients. Made using high quality raw material, these are known for their superior designs and finishing standards. These long lived tiles are offered at reasonable prices. We also offer customization services to our clients at reasonable prices. 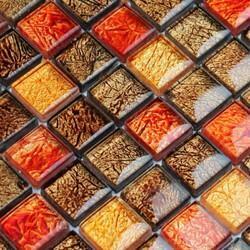 Looking for Glass Mosaic Tiles ?